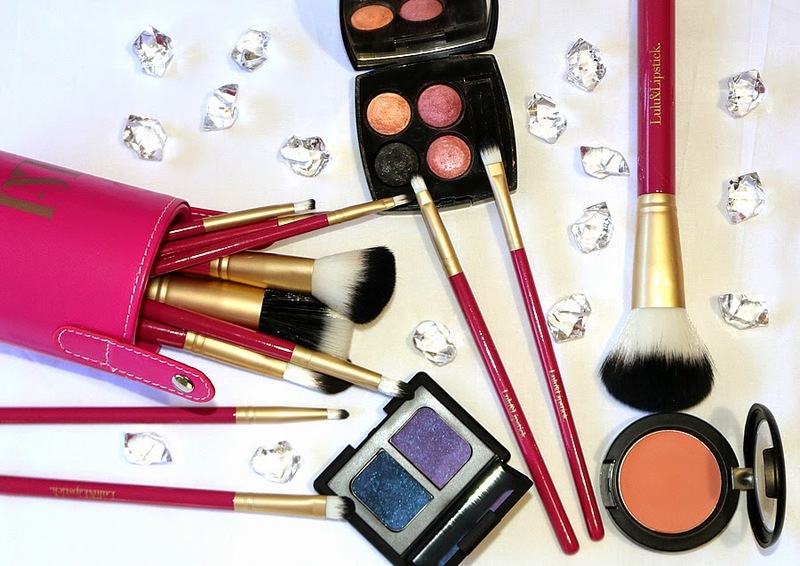 Bright pink handles and brushes gold barrels, these brushes are just begging for you to dip them in makeup and swipe them all over your face. Although Lulu and Lipstick are famed for their stocking of incredible brands such as Alpha H and Pink Holiday but they also have an amazing range of their very own products. Including this 12 piece brush set. 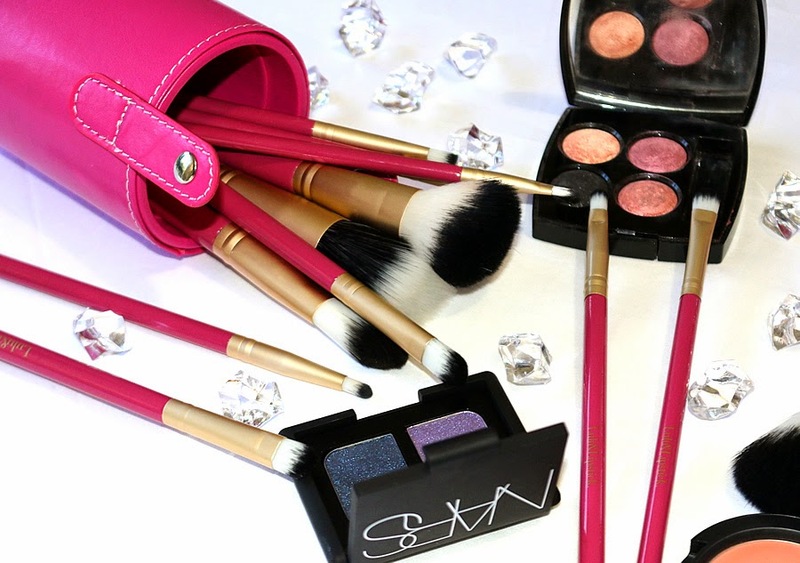 This set retails for $120, averaging at $10 a brush which is very reasonable especially for face brushes. Eyes- Lulu's Lip Brush, Angle Liner Brush, Pointed Liner, Crease Shadow, Flat Liner Brush, Small Shader and Oval Shadow. Face- Concealer Brush, Foundation Brush, Angle Blush Brush, Stippling Brush and Powder Brush. As with all brush sets, it's a hit and miss where you will find some new favourite brushes as well as not get so much use out of others. Most are extremely soft, especially the face brushes, but if you have sensitive eyes then be careful since some of the brushes are a little prickly - quite common unless you're investing in $30 each eye brush. Despite not including a specific brow brush, a couple of these brushes would work perfectly to fill in your brows so you definitely won't go without. All of these brushes come packaged in a beautiful hard pink case that is perfect for storage, travel or easy access on your vanity. This is a great set if you are just starting out and want a brush set that has everything you would need as a beginner. It saves you the trouble of scouring websites through pages and pages of individual brushes. However, if you are on the other end of the spectrum and already have a large collection of brushes, you might be looking to try individual pieces here and there instead. 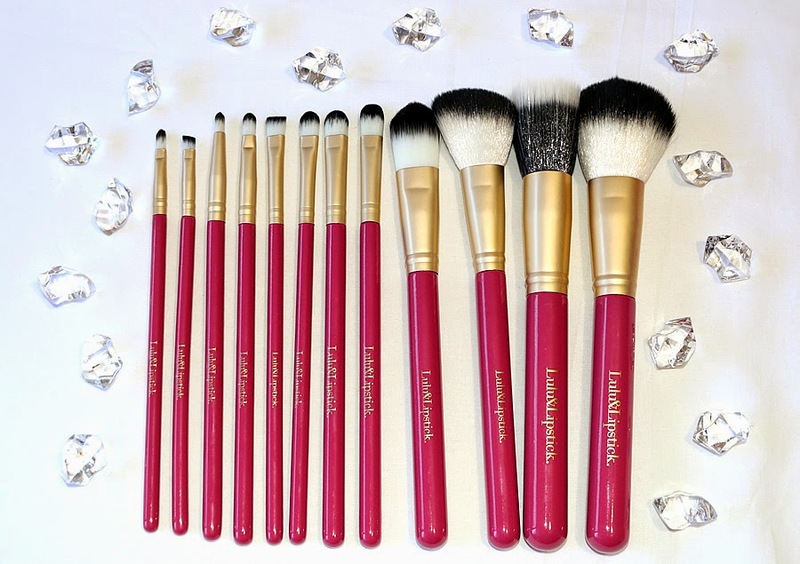 To purchase this brush set, visit Lulu&Lipstick here.